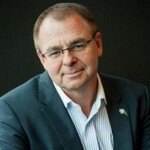 Even the best economic proxy measures can only partly explain what is at the heart of charities’ work, writes Community Council for Australia CEO David Crosbie in light of recent reports on the sector which he argues are disconnected from what drives not for profits. In 2018 the Australian Charities and Not-for-profits Commission (ACNC) commissioned a report by Tulipwood Economics into how best to measure object 1b of the ACNC Act: “to support and sustain a robust, vibrant, independent and innovative Australian not-for-profit sector”. ­ How responsive is the industry to environmental, social or economic “shocks”? Can the industry adapt to a new social “threat”, such as a greater emphasis on transparency and accountability? ­ Is the industry resilient over time? ­ Is the industry changing over time and adapting effectively to new circumstances, for instance, are new entities or legal vehicles emerging to address identified needs? ­ How independent are NFPs from government funding? ­ To what extent do NFPs rely on a sole source of funding? ­ Is the industry developing new products and services? ­ To what extent is new technology used to provide better products to clients and the community? The ACNC have now commissioned further work by PwC to look at how best to implement measures of this object. There was a time at the ACNC when informed advice about this kind of activity, including commissioning research, would have been provided by a specialist not-for-profit research advisory group. This group of experienced and respected not-for-profit researchers has been discontinued. What seems most consistent about all the recent consultancy work is how disconnected it is from what actually drives the charities and not-for-profit sector and what matters to the communities they serve. The language is largely about markets, industry, products, services, clients – all of which reflect the narrow economic lens being applied to the sector. Even within this economic lens, the measures outlined in the Tulipwood report seem superficial at best. A sole source of funding is not always a good thing, but is not always a bad thing either. The fact that a charity receives government funding tells us little about the level of independence being exercised by that charity. A charity that has struggled along for 50 years is not necessarily a more robust charity than a dynamic new charity with strong links into their community. More mergers may be a good thing if the mergers are all about better serving a charitable purpose, but more mergers may also signal more charities becoming unsustainable and needing to merge to survive. Innovation is a double-edged sword for many charities – it seems charities are constantly being told they need to innovate and change. Sometimes the worst thing a charity can do is come up with their own new ideas when what would have much greater impact is to adapt and adopt well-established better practices which have been evaluated and shown to work. Investing in better IT and technological systems can ensure more efficient and effective work, however, diverting expenditure from people into expensive new systems can also remove a human element that may have been critical to the quality of services being provided. The total turnover of the sector, the total assets of the sector and the degree to which these assets are being leveraged to achieve the charitable purpose are not considered appropriate measures in the report. For me, these are very broad-brush economic proxy measures, but at least they tell us something about growth across the sector. The levels of training, skills and diversity among staff is not considered at all in any of the proposed metrics. We all know that staff make a huge difference to the way charities can and do operate. The degree to which charities exercise a public voice in support of the communities they serve is not mentioned as a measure. Again, it is widely acknowledged that strong independent charities work at being effective advocates for their communities. Most importantly, the degree to which charities evaluate their own performance against their purpose is missing from the discourse about the strength of the sector. The charities sector is largely about values and value creation. Almost every charity I have visited or worked in has sought to enact values like; care, trust, hope, belief, belonging and opportunity to realise potential. Most are trying to have an impact, to make a difference in the lives of the people in the communities they serve. Everyday they measure their performance in small human ways as well as seeking economic and social outcomes for individuals and communities. If I was challenged to measure the strength and vibrancy of the charities sector, I would look at what role they are playing in shaping our communities, the degree to which they not only create impact at a local level, but also shift national policies to better reflect community needs. The strength of the business sector is measured in almost purely economic terms – which business is making the most money for their owners. Good for economists. The strength of the charities sector is ultimately about the relationships we enable in our communities. It is about the kind of Australia we live in, beyond economic indicators. Even the best economic proxy measures can only ever partly explain what is at the heart of our work. And if we are going for proxy measures, surely we can do better than assumption-ridden superficial measures developed by unknown economists from outside of the sector?